As I wrote last week, that's been a key trait in many recent (successful) hires around the league. And in this case, a specific relatability to one colossally vital Twins player may be especially noteworthy. 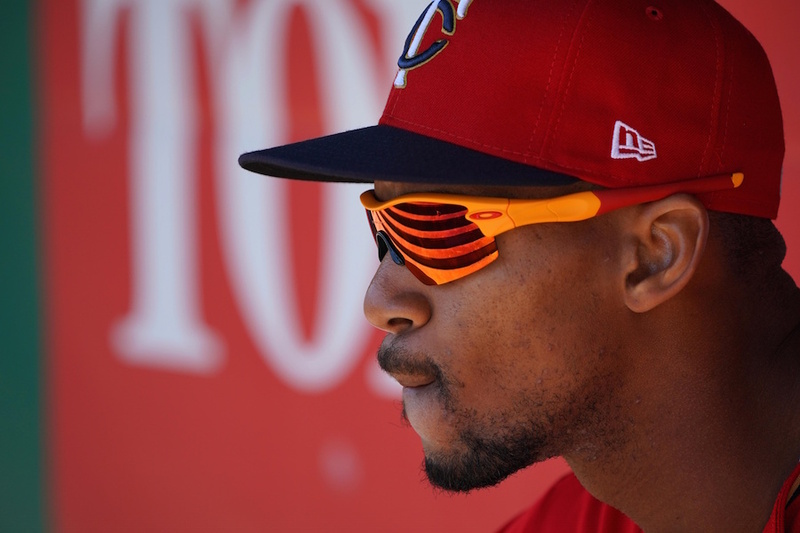 The Twins have a bevy of tasks in front of them, but none are more important to their short-term outlook than getting Byron Buxton back on track. His game-changing ability makes him an elite difference-maker in the game, and Buxton's total lack of contribution in 2018 was one of the biggest reasons Minnesota went nowhere. “When you have a staff that can relate to different players in different ways, I think you have a much better chance of touching these guys and helping them in their careers and getting them where they need to be," said Baldelli during his introductory press conference at Target Field on Thursday. Buxton's career up to this point has been one of huge upside, sky-high expectations, and physical setbacks. In all three of those areas, his new manager can provide an empathetic perspective and relate in some unique ways. Like Buxton, Baldelli was a nationally recognized talent from a young age, and became a Top 10 draft pick out of high school. Both quickly developed into elite prospects and reached the major leagues at age 21. As players, they were of a similar mold: spectacular defensive center fielders and aggressive right-handed swingers with power. Few people throughout the game's history have been blessed with the kind of pure athleticism and ability Buxton has. I'm not sure even Baldelli makes that cut, but he's closer than most. Of course, being a top draft pick (Buxton was second overall in 2012, Baldelli sixth overall in 2000) brings with it a burden of its own. These two blue-chip studs were subject to extreme levels of pressure and expectation, which only grew as they dominated the minors and rocketed to early big-league debuts. Buxton's perpetual stumbles and regressions have been made ever more frustrating by the Hall of Famer we all know resides within him. We've seen glimmers at times, but for various reasons, it just hasn't all fully come together. And that clearly weighs on him – why wouldn't it? Baldelli's been there. As a Rookie of the Year candidate in 2003, there was hoping he'd help lift a still-fresh Tampa Bay franchise – last-place finisher in each of its first six years – out of the cellar. He knows that level of scrutiny, which can often be fiercest from oneself. In a career that was sabotaged by physical breakdown, Baldelli faced maladies of all manners. He tore his ACL playing basketball during his third offseason. While rehabbing, he injured his elbow and required Tommy John surgery. Once he made it back he started experiencing chronic fatigue. Upon undergoing tests, he was diagnosed with "metabolic and/or mitochondrial abnormalities." Doctors attempted to work out a plan to manage it, but the inexplicable ailment sapped and drained him. He battled on for years, participating in Tampa's first World Championship in 2008, but was finished as a player by age 29. Which brings us to Buxton. He's had it bad up to this point, with major injuries scattered throughout his ascent and now casting doubt on his once brilliant outlook. But he's a long way from going down Baldelli's road. It's often said that great players don't make great coaches, because they can't empathize with the adversity and tribulations experienced by lesser talents. In a way, that dynamic is at play with this managerial transition. As a legendary ballplayer and No. 3 overall draft pick back in 1974, Paul Molitor shares the first two commonalities mentioned above, but not this one. His career wasn't without speed bumps but over 21 years of playing, he stayed mostly healthy and forever productive en route to the Hall of Fame. Buxton is currently at a crossroad between the best-case scenario where he turns it around and realizes his potential as a top player in the game for many years (the Molitor path), or the worst-case scenario where that potential is squashed by endless time spent in the trainer's room (the Baldelli path). To a large extent, it's out of his hands. And who better than Baldelli to get that message across? Focus on the big picture, manage what you can control, and don't let the setbacks get you down. Buxton doesn't need more heart, or determination, or motivation. That's all there. But he might benefit from a fresh perspective and a new type of mentorship that Baldelli can seemingly provide. Buxton has a Hall-of-Famer inside of him? He has been at best projected to be a Devon White-type. Personally, I wouldn't say that Buxton's future is to 'a large extent out of his hands.' This could be said of the injury bug for sure, but not for the hitting woes. Concerning pitch selection and swings of those wearing Twins' uniforms, Buxton looked significantly worse than anyone at the dish (IMHO) in 2018 (...and that includes a parade of less than admirable performances...Morrison, Dozier, Sano, Wilson...did I miss someone?) I'm not saying that these things can't be ironed out, and he has the potential to become a great player, but as it stands right now, I would take .250 BA and .320 OBP in a heartbeat, which wouldn't get him into the HOF, but it would make him a reliable asset. He is feared by his play in the field. (I was following an Indian blog in 2017 because the Twins had to play them during those last two weeks and really needed to take a game from them. Buxton made a superb running catch in the game that the Twins came back to win. Indians' bloggersmentioned that they were afraid that Buxton's ability to track down balls in CF gave the Twins a significant advantage in close games.) It all comes down to his hitting development....I sure hope they intend to emphasize a need for him to bunt...like every other game or so. I don't know what the future holds for Buxton and have no interest in speculating.With that said, I sincerely hope he is doing what he can this winter to give him the best chance possible to get back to being that player he was the last couple months of 2017. I think you hit it on the head, Nick, that Baldelli could be a boost in Buxton's efforts to recover from whatever has been ailing him. The one positive from last season was that none of his physical ailments were caused by his seemingly reckless method of playing in the outfield.Hopefully, he will report to spring training healthy and remain so throughout the spring and 2019 season. Nice take. As many mentioned in other threads, Rocco will eventually get roasted one way or another for his in game decisions--every manager does. I would hope that one of the traits they were looking for in their hire was a guy who could help Buxton and any other young guy reach their potential. Having a confident, performing Buxton on the field would instantly make Rocco a better manager. I'm pretty sure he's saying the potential is there. Buxton has God given talent of epic proportions, rarely seen in baseball. Whether or not he is fully able to harness it remains to be seen. Hence many folks (myself included) are hoping that Baldelli can help him along that path. Baldelli is a fresh start and a new voice for Byron but Rocco isn't going to step into the plate and hit curveballs for Byron. Not saying coaching doesn't matter because it does but eventually it doesn't matter what the coaching is, if you can't hit it consistently, you can't hit it consistently. Maybe the Twins should have hired Dr. Phil as manager. A simple question would be "What has Byron Buxton done since the end of the 2017 season to improve himself as a major league hitter?" My guess is little or nothing. If I am right, there is no amount of counceling that Rocco or Dr. Phil can provide. If I am wrong then Rocco should be able to help him enough during the off season so that it is obvious in spring training. I just hope that the 2019 season isn't totally devoted to Rocco Baldelli getting to know his players better. Is he having a couch installed in his office? May the best players play and may the Twins simply try to win as many games as they can by playing common sense baseball. "Buxton's total lack of contribution in 2018 was one of the biggest reasons Minnesota went nowhere." Pretty simple. Fix Buxton and this team is a lot better, period, on both sides of the ball. Don't fix Buxton and this repair job is a lot harder. Nothing wrong with Devon White. He had a nice career but I am pretty sure those were the projections for Buxton's floor, not his ceiling. Bingo. Every single article about Buxton seems to operate on the assumption that he's a future Hall of Famer that's somehow snakebit by injuries. That's simply untrue, and the numbers show it. Aside from a 2-month stretch in 2017, Buxton has been a well below-average hitter to the point where the Twins can't afford to keep him on the major league roster. He is the 4th outfielder going into Spring Training on a team that had its 3rd outfielder (Max Kepler) finishing with a .215 average. I don't think it's quite time to give up on Buxton. But it is time for the Twins Daily reporters to stop writing about Buxton like he'd be Mookie Betts if not for a pesky sore toe. Buxton is a great human being, but he's failing professionally at this point. I think Rocco will have a positive influence on Buxton and Sano, for what its worth. I don't think that's true, and if it is, that's the problem, not Buxton's lack of production. If the team is built with a lynchpin player and if that player struggles or gets injured the team falls apart, then I don't think your team is very good. I'd love for Buxton to get on track and I don't care who's responsible for doing it, but he nor Sano, nor Berrios, nor Rosario nor Lewis nor anyone should be viewed as some kind of must-have player who's the fulcrum between success and failure. There are thousands of ways to win a baseball game. Nick, Thanks for this is an interesting and thought-filled article. I agree that this may be just what Buck needs. Great title for this article. Bingo. Every single article about Buxton seems to operate on the assumption that he's a future Hall of Famer that's somehow snakebit by injuries. That's simply untrue, and the numbers show it. Aside from a 2-month stretch in 2017, Buxton has been a well below-average hitter to the point where the Twins can't afford to keep him on the major league roster. We all know he's struggled to hit. What makes you so certain the numbers you're referencing aren't impacted by health issues? Buxton's competitive drive had him playing through a broken toe and strained wrist this season, and personally I think that wrist has been a bigger issue than anyone's letting on. Perhaps Baldelli can help dissuade Buxton from that play-through-everything mindset as part of the "big-picture" thinking. Because Buxton's had plenty of time to play healthy and he's still struggled when he's ship-shape. I hope he becomes a star also. I just stopped pretending he is one. If you recall, Torii took a similar path until he figured it out. Here's hoping Buxton follows his lead. Injury bug is one thing, and, yes, Baldelli might be able to help him return from it, by example. The big elephant in the room is Buxton's chronic Illness (migraines), and I hope that Baldelli's outcome against his chronic illness, is not what happens to Buxton. I hope for the best with Buxton and as others have said, I would be thrilled with a .250 average and his stellar defense in CF. I don't know what getting him "back on track" means. Has he ever really been on track? He has essentially had 2 nice months during the 2nd half of 2017 where he looked like a serviceable player. That seems more of an anomaly than his actual track record of struggling to make contact. If he learned how to bunt, he should at least be able to hit .200 and maybe that is even good enough considering how valuable he can be on defense. I don't know what getting him "back on track" means. Has he ever really been on track? He has essentially had 2 nice months during the 2nd half of 2017 where he looked like a serviceable player. That seems more of an anomaly than his actual track record of struggling to make contact. Also I don't think it's fair to downplay his performance with descriptors like "serviceable." Buxton was an MVP-caliber player the last 2 months of 2017. That doesn't really happen by accident or fluke. It is interesting how young managers have been so effective in the recent past. Hinch won with the Astros last year, Cora is probably going to win in his rookie year (as a manager) this year. Clearly, having a young, inexperienced manager isn't the end of the world. I like what I have seen from Rocco to this point. I think, as the article suggests, that he will be relatable to the boys. Can't wait to see how it translates to the field. Actually, he has not had plenty of time to play healthy. Actually Correa was drafted BEFORE Buxton, #1 overall in the 2012 draft. Buxton was #2. The Astros have gotten 3 pretty good years from Correa. The Twins have gotten 2 months from Buxton. That is one of the things that has been so disappointing about Buxton. 2019 will determine his fate. If he turns in a good FULL season we may have a star in the making. If he doesn't his career with the Twins may be over. I shake my head at all the fault finders and unfair critics. Throw 2018 out. Its not fair to cite a year filled with injuries. Buck showed what he could do in 2017. I hope he returns to that level once healthy. I don’t know if saying Molitor was “mostly healthy” is accurate. Later in his career, yes. But in his 20s he was listed in the dictionary under “injury prone”. From age 21 through 30, he appeared in more than 125 games just 4 times. From age 31 to retirement at 41, he appeared in more than 125 games in all but two seasons, one of which was strike shortened. Actually, two were strike shortened, but he appeared in 130 games in 1995. He was also active during the 1981 strike. He played just 64 games, far fewer than the 109 the Brewers played that year. I guess we're supposed to pretend Molitor wasn't blessed with immense talent, didn't know how to deal with pressure/expectations, nor has anything not gone according to plan.